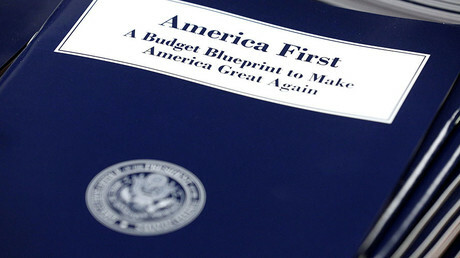 The Trump administration has unveiled its 2018 budget proposal, which boosts military spending beyond the sequestration cap. It would put total US national security spending, including the Departments of Energy and Justice, at roughly $603 billion. Under the proposed budget unveiled Tuesday, the Department of Defense would receive $574.5 billion, with another $65 billion earmarked for the Overseas Contingency Operations slush fund. Another $2 billion will go to national defense programs including nuclear security. The budget also envisions $2 billion in savings from improved efficiency and reforms within the Pentagon, including base closures. This would translate into a 9.5 percent increase in the Pentagon’s budget over the current fiscal year. It is also $52 billion more than the military spending cap under the 2011 Budget Control Act, commonly known as sequestration. The budget would raise the number of US Army troops by 38,000, bringing the total troop strength to just over 1 million: 476,000 active duty; 199,000 reservists; and 343,000 National Guard members, to be specific. 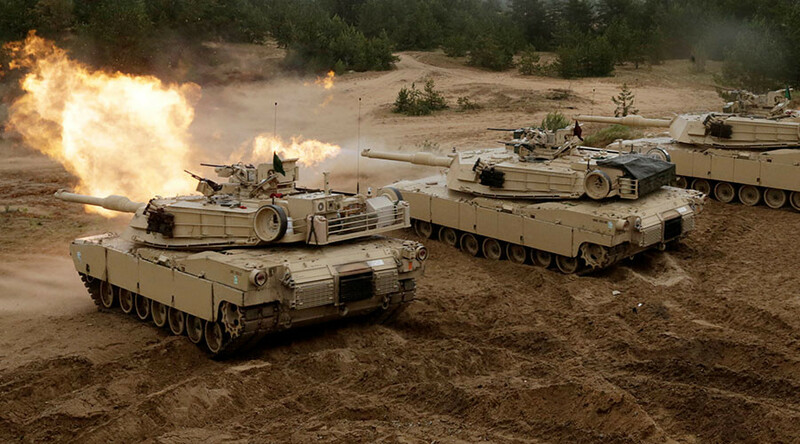 The Army would also get 48 new Black Hawk and 61 Apache helicopters, 71 Paladin howitzers and 2,110 Joint Light Tactical Vehicles, with $1.1 billion allocated to modernizing the existing M1 Abrams tanks. Of the 70 F-35 stealth fighters covered by the proposal, the vast majority would be acquired by the US Air Force, while the Marines would get 20 and the Navy would receive four. To bridge the delay in the Navy’s version of F-35 becoming operational, 14 new F/A-18 Super Hornets have been budgeted. The Air Force would also receive a billion dollars for MQ-9 Reaper drones and $2.9 billion for bomber programs, including the development of the B-21 future bomber, which is still on the drawing board. The Navy is not getting as many new ships as it wanted, but the 2018 budget funds one Gerald R. Ford-class carrier, two Virginia-class attack submarines, two Arleigh Burke-class destroyers, one littoral combat ship, and two support ships. Trump’s budget calls for about $83 billion in research funding, about $6 billion more than the current allocation. Operations in Iraq and Syria would be funded to the tune of $13 billion, while another $4.8 billion would go to the European Reassurance Initiative, boosting the US presence in the territory of NATO allies bordering Russia. The Department of Defense is supposed to improve business processes, “reduce major headquarters activities by 25 percent, and eliminate redundant spending on service contracts,” according to the Office of Management and Budget’s fact sheet. The budget also proposes a round of base closures starting in 2021 that would save $2 billion or more starting in 2026. Acting Comptroller John Roth called the proposal a “pretty healthy increase” in funding, but noted that it offers “no new programs, no significant new initiatives.” Most of the new funding is going to address readiness issues that military commanders have pinpointed as a priority.